However, sources within the police department previously told CalCoastNews that the K-9 had some training and behavioral issues. Likewise, the dog’s handler, Grover Beach officer Alex Geiger, had significantly less experience than is typically required of officers who work in K-9 units. Geiger lived with the Belgian Malinois, Neo, for a year while working for the Exeter force. Geiger left Exeter in the fall to join the Grover Beach Police Department. While leaving Exeter, Geiger purchased Neo from the Central Valley city for $5,287.50. 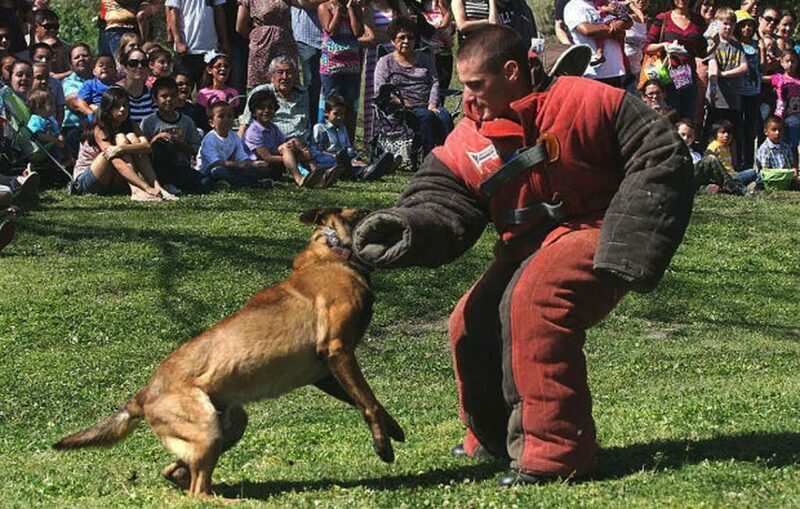 Geiger brought Neo to Grover Beach as his personal pet, but he quickly began lobbying Chief John Peters to create a K-9 unit. Then on Dec. 13, Neo attacked Betty Long, 85, in front of her Grover Beach yard. Long’s neighbor, David Fear, went to assist the woman, and the Belgian Malinois turned his aggression on the Grover Beach man. Fear lost six pints of blood as a result of the attack. The dog bites severed two arteries in his arm, and Fear developed an infection from the bites. Fear died in the hospital four days after the attack. Long suffered a broken pelvis and a broken shoulder. The elderly woman is currently in a rehab facility. Last March, Geiger penned a memo to the Exter K-9 unit describing the incident in which Neo bit an officer. Geiger’s memo stated Neo was participating in a weekly bite training session at a neighboring police department during which trainers instructed him to engage an officer who was wearing a bite suit. Neo grabbed ahold of a part of the suit near the right hand and bit the hand, causing about a half-inch cut to the officer’s palm. The bite was minor, but it drew blood, Geiger wrote. The dog released its bite when instructed to do so, according to Geiger’s account. It is unclear if the trainer’s hand was dangling out of the suit at the time. Neo continued to work as a patrol dog for six months thereafter. When Gieger took Neo with him to Grover Beach, the officer signed a waiver that relieved the city of Exeter of any future liability pertaining to the dog. Following the December attack, Geiger turned Neo over to San Luis Obispo County Animal Services, which euthanized the dog. Animal services completed its investigation into the incident in late December and submitted the case to the SLO County District Attorney’s Office. Prosecutors have yet to announce whether they will file charges against Geiger. Geiger remains on paid administrative leave from the Grover Beach Police Department. Neighbors said the officer promptly moved out of the home he was renting after the dog attack. Geiger had been living in a house on Owens Court that was around the corner from the location of the attack. Many dogs have issues with aggression because of abuse or in the case of Geiger’s dog, they’re trained to kill. These dogs can be in public, but should only be handled by someone who can give them 100% of the attention they need. If not properly walked and controlled and the dogs attack an innocent person, it is the owner’s fault. Owners need to be held accountable for mishandling dogs. We as responsible citizens need to keep an eye out for dogs that may have aggressive tendencies and talk with those owners if they’re in our neighborhoods, at our parks, or anywhere we see them in our community. Part of acclimating some of these dogs back into communities requires socialization from people and the dogs, but some dogs definitely need more control than what happened in this case. Prayers for David Fear’s family and friends. December 13th is the date the assault and murder of Mrs. Long and Mr. Fear occurred. As of today, no charges have been filed. Animal services completed their investigation in late December. We know that the dog was trained to do what it did. That’s what police K9’s are taught to do. We also know that had Mr. Fear bitten the dog to death, or had Mr. Fear’s dog bitten officer Geiger to death, Mr. Fear would be in jail and charges would have been filed weeks ago. But the police dog was the killer, not the serf or his dog. Why no charges Mr. Dow? Is it because Blue Lives Matter more?